I am fortunate enough to have a friend who is a photographer. That means when we hang out if I want my picture taken she is happy to take my picture. Even happy to arrange a photo shoot. I consider this to be something of a graduation photo shoot. I’m graduating from being sick to being well. We went up to Mt Tabor with a little yellow umbrella I brought. I feel so in the now having these pictures. I am not me of ten years ago or five years ago. This is me now. What I look like, how I feel, the whole package. No misplaced sense of my self. No image of me in my head that is years out of date. Just me in the now. Here are the pictures she took. She edits and adds as she edits. My new user icon is from the set and here’s a preview of one of many fantastic images she captured. This is her web site. 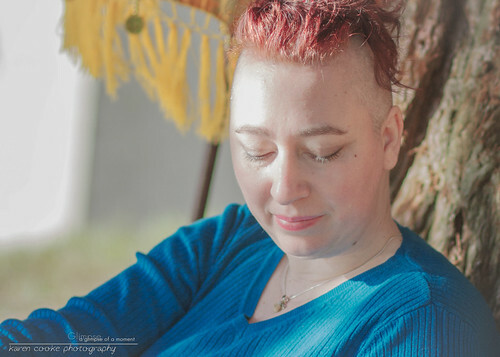 I don’t know how much time she has for her freelance photo work but if you live in Portland and need photos taken you should consider sending her a note via her site. She’s still underselling herself and her work is amazing.